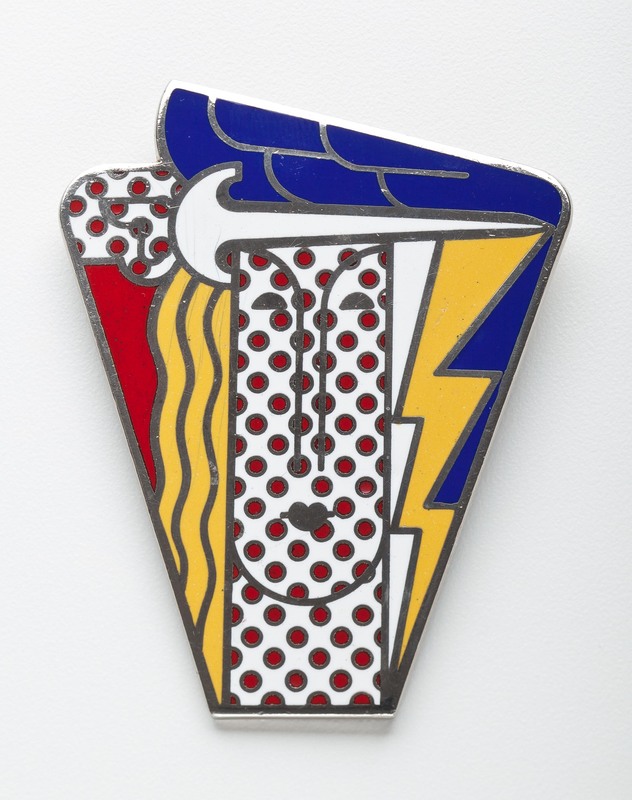 This boldly designed champlevï¿½ï¿½ï¿½ enamel brooch by Pop Artist Roy Lichtenstein was originally produced in 1968 for the Multiples gallery in New York City. It is a pendant and brooch with a pin on the back and a ring for suspension from a chain. The enamel is on a base metal.